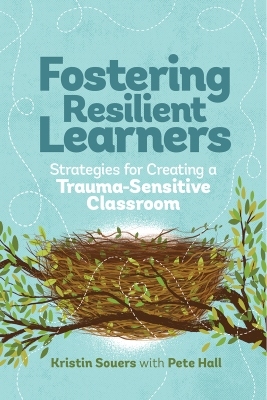 Relationship, Responsibility, and Regulation: Trauma-Invested Practices for Fostering Resilient Learners by Kristin Souers and Pete Hall — is now available! In this galvanizing book for all educators, Kristin Souers and Pete Hall explore an urgent and growing issue—childhood trauma—and its profound effect on learning and teaching. Kristin Souers, a mental health counselor, and Pete Hall, a former principal, present case studies, research, stories, and practical, easy-to-implement strategies to help students living with trauma thrive in the classroom. Adopt a strengths-based approach that helps prefessionals recalibrate how destructive student behaviors are viewed and to perceive what students need to break negative cycles. Head off frustration and burnout with essential self-care techniques that will help professionals and students flourish. Based on the best-selling, award-winning book Fostering Resilient Learners, this laminated reference guide will give every educator the tools needed to ensure every child is healthy, safe, engaged, supported, and challenged in school. Our special thanks to Wendy Turner, M.Ed., for her continued support! This critically acclaimed book has earned two publication awards, including the REVERE Award from the Association of American Publishers in the category of School Climate, and has garnered significant attention in the field of education. ASCD Digital Product Team's Fostering Resilient Learners: Strategies for Creating a Trauma-Sensitive Classroom is a 2018 Telly Awards bronze winner in the General-Social Issues category.